Commercial throughways such as Van Ness Avenue or Divisadero Street move significant volumes of people across town in a variety of travel modes and attract them to shop, eat, and play from across the city. Vehicular traffic on these throughways tends to be relatively fast and continuous and transit service is often frequent. 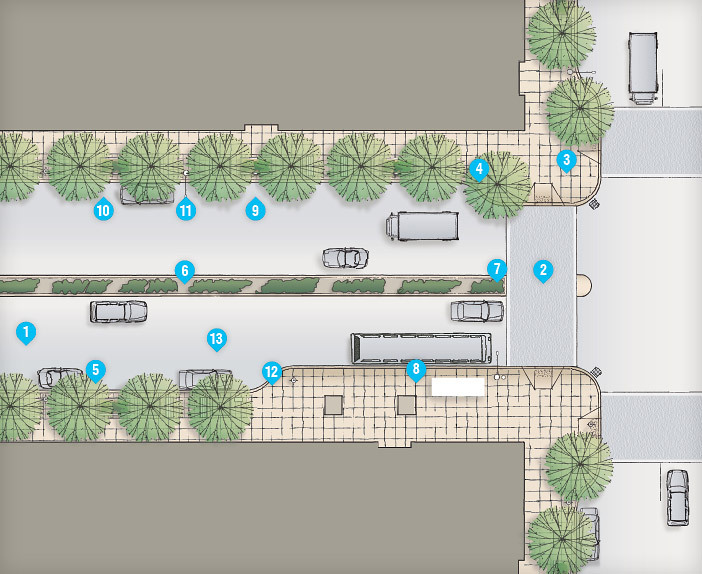 These streets should have a comfortable pedestrian realm with significant pedestrian amenities and public spaces.